← I’ve got sunshine …. on a cloudy day. That’s how I felt when I went to bed. 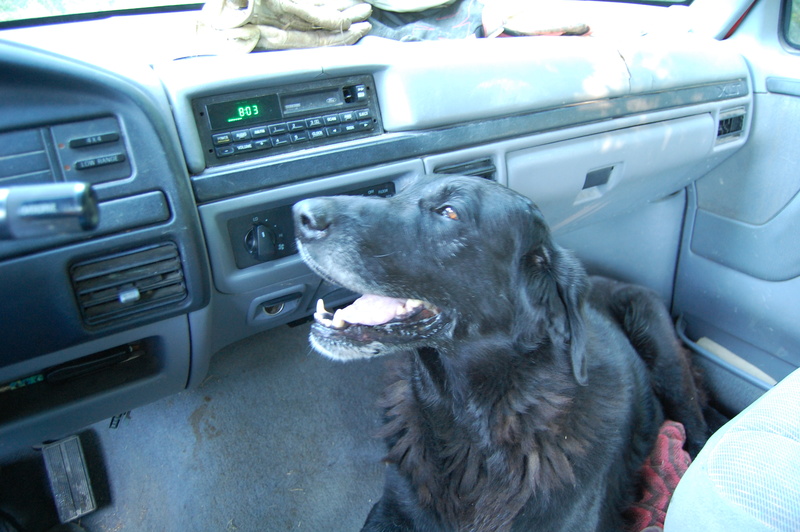 You see, my big, old, loving, faithful assistant, Hunter, died yesterday. I knew it was coming. We were able to keep him at home. 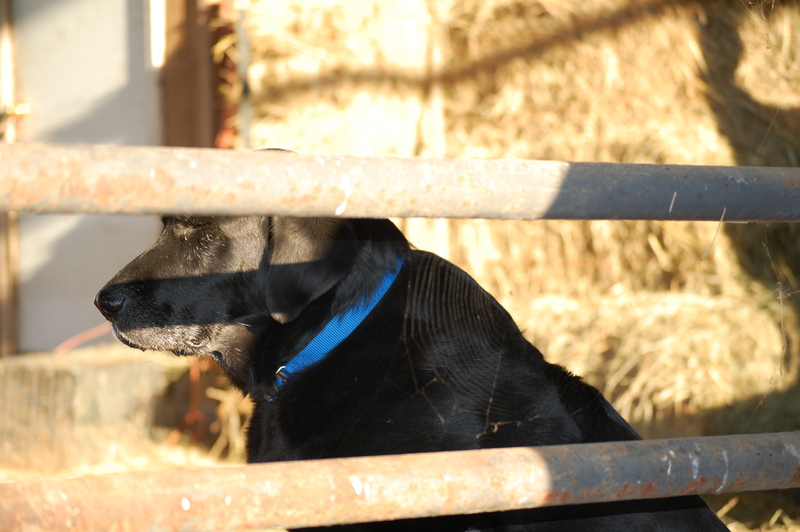 He died in the barn, close by many of the animals he regularly checked on, where he later would lay and just watch me go about chores. Thankfully, both my boys are home from college. Hunter chose my oldest son when we went to the pound to get a puppy. 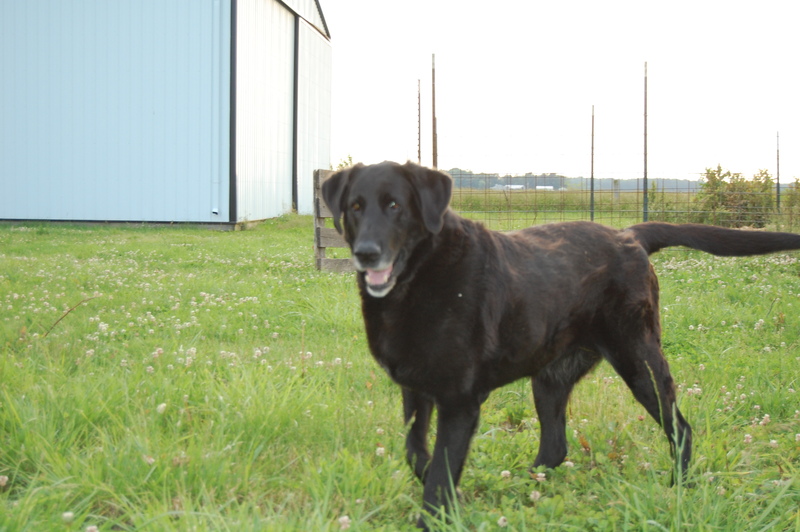 I would say we chose him, but when the gate was opened and a jumble of lab puppies tumbled out, Hunter chose Levi. The rest is history. The boys and I took him to my Mom’s timber to bury him. Smile on, big dog, smile on. After that, my kitchen faucet broke off in my hands. I thought I fixed it. Then, it broke off again. Both times shooting water everywhere. My plumber is on speed-dial. He and his son were working close by and stopped on their way home. Thank you ~ Thank you ~ Thank you!!! My dryer also quit heating. The boys and I had more laundry washed than I have clothesline. After I banged my head on the wall, I called the appliance service office. Hopefully today they will arrive. Hopefully they can breathe life into my dryer. After switching clothes on the clothesline until it was too late in the evening, doing chores, making supper and somewhere in all that, having a glass of wine … I sat down to watch a movie. Believe it or not, the tv and the dvd player worked! I felt a little hope bubble in me. Today, is a new day. Just make the coffee, friends. 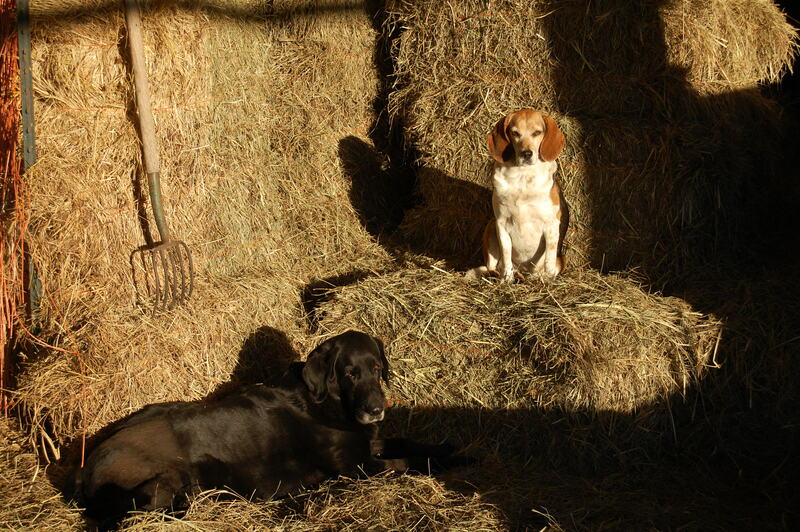 This entry was posted in Country Living, Grief, Positive Thinking and tagged Country life, faithful assistant, Grief, just make the coffee, Old black lab. Bookmark the permalink. 37 Responses to Yesterday took the best of me and spit it out. Oh, my dear. What a horrible day. My sympathy to you in the loss of your dear friend, Hunter. They become so much a part of our family; the pain when we lose them is almost unbearable. All the other “things” were small in comparison to losing him, I’m sure. Hoping for better days for you, beginning today! Thank you, Dianna. We have lost all three of our dogs in the past 9 months! It is so strange to not have any around. Marla..sorry for your loss. I always recommend the Rainbow Bridge. I am sure the rest of the animals are sad too. I’m so sorry to hear about your ol’ friend Hunter. It’s never ever easy to say good bye. I hope the rest of the week is easier on you. He was such a good dog. It wouldn’t be right if I didn’t miss him. It had gotten hard to watch him struggling. I’m in a very good place. To frolick with and race. I’m young again and free. That is so sweet and beautiful. Thank you, Deb. Thank you, Jessica. Hunter was a big part of our lives. We were lucky to have him! 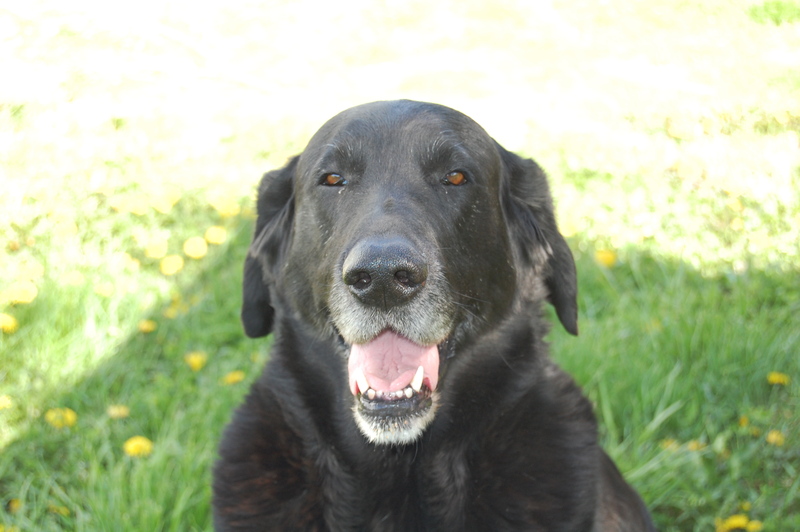 Hunter is waiting for you at The Rainbow Bridge. It is so painful to lose our beloved companions. Our thoughts and prayers are with you and your family. 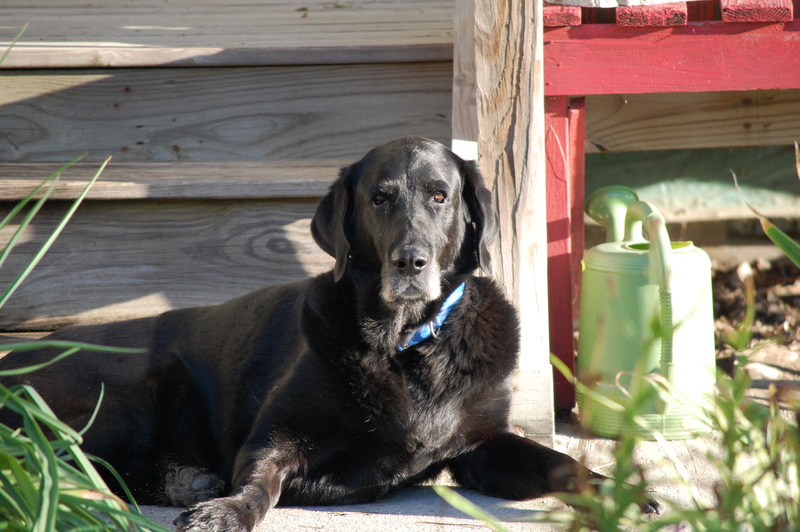 Hunter will forever be the Guardian of you and your animals. We sure have lots of good memories … and I found myself looking for him several times today. Thanks, Judy. You well know how much a part of the farm they become. I like your idea about fixing the hole. 🙂 Thank you, Cecilia, you made me smile! Labs are such amazing dogs. They just want LOVE. My sympathy to you, too. So sad. I’m sorry for your loss. Thank you. It’s the worst thing about loving a pet. Oh! I’m so sorry! Losing our furry family members is the hardest part of life. I’m sending you hugs! Thank you, Linda. I know you write about Fuzzy not getting around so well anymore. That isn’t easy to watch sometimes, either. We just love ’em and give them the best life we can. They give their whole selves in return! Thank you, Peggy. He was a gentle giant. I am thankful we had him as long as we did. Marla, I’m so sorry for your loss. Pets are family at my house and I know how hard that is. Even though you know it’s coming it’s still hard and I’m sorry about all the other troubles you had that day. Sometimes I wonder if that was meant to occupy you through your grief? Would’ve been better to have nice things occupy your mind. Glad your boys were there. Will be thinking about you. Thank you so much. You can tell that people love their pets from the kindness in their posts. Pets do become family. My boys have definitely been a welcome distraction & blessing. We went through that last year at this time. The nurse in me knew time was growing short, the rest of the brood just thought I was being mean by pointing out that it was getting to be “time” and that a decision had to be made. We made it through the state track meet, graduation and the big graduation party. The day after Memorial day was what she chose as the day she would ask us to make the decision, painful as it was. Poor old granny dog. I was glad we could be there with her and that Dr. Katie was at Brix’s to help us through it. It is hard but as time goes on, I hope the comfort of knowing he is again having a good, pain-free life, will be enough until you all can meet again. He was one of the lucky ones, he was loved. And, he has friends to hang with. Big and small. Marla sweetie, may yesterday be the last day EVER that the best of you gets spit out like that. RIP to Hunter. Thank you. He was a blessing to our family and we have lots of great memories. It will take some time to get used to it…. I have just come across to you from thr Kitchen Garden. What a beautiful face your Hunter had and I am so sorry for your loss. Thank you, Pippa. He was beautiful inside and out. I’m so sorry for your loss, and I understand how you must feel. I’ve also lost a beloved pet who was very much part of our family. He was fifteen- 105 in doggy years. Many hugs your way. I am sorry for your loss, too. Thank you for your kindness! Just saw this, sorry to hear of the loss of your beloved dog. Then all the other things that went wrong…fortunately, those days don’t come around often! I know how that is. I thought I’d hear the tags jingling even after ours was gone. Hugs. Thank you, Lisa. I enjoy your posts, too!